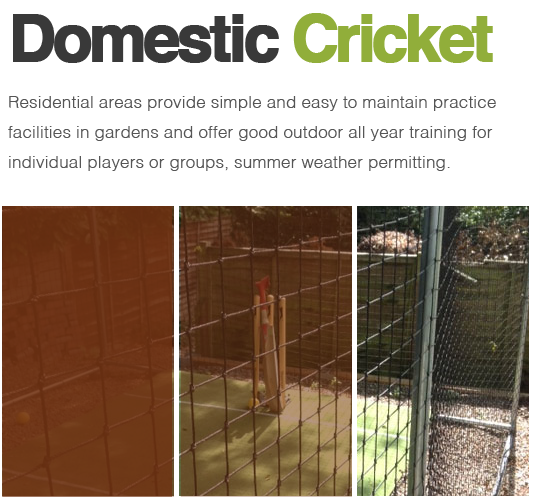 Home Garden Cricket Practice & Artificial Batting Enclosure Area Installations. Our flexible approach to home cricket reflects the fact that most residential installations are unique. We face quite a varied set of assignments and potential obstacles when providing quality home installations within the UK. We cover all areas from junior to senior cricket practice areas. Indoor, outdoor or within various barn buildings. We also offer a great range of residential cricket area packages to suit most players designed for years of practical experience. Easy to use and easy to maintain with subtle placement and a clean and tidy finish. An accopanying full range of batting cage designs and non turf artificial cricket pitch matting options up to professional level of play, with Woven Test Match woven pro surfaces and dynamic base installations to county standards. combined with pitch matting up to professional level play. Our residential garden outdoor cricket areas are incredibly flexible in design, ranging from a simple 3m tall steel cage of 6m length to full length socketed cages. Individual designs for individual requirements. Offering experienced area designs that are easy to maintain with subtle placements. Our most popular residential artificial cricket matting is the IBC composite backed range. Woven matting offers great performance over hard surfaces such as cement bases. Fully weather and winter proof, we can provide a complete build service to individual requirements. Our steel batting cages can be made from 3m long to 30m. A typical home cage size is around 6m-12m long, with a choice of 3m and 3.6m heights. Fixed (shown left) or freestanding. Made from 39mm steel they are fully suitable for full weight balls the same specification as our professional cages, or also as portable mobile net cages to move around the garden. 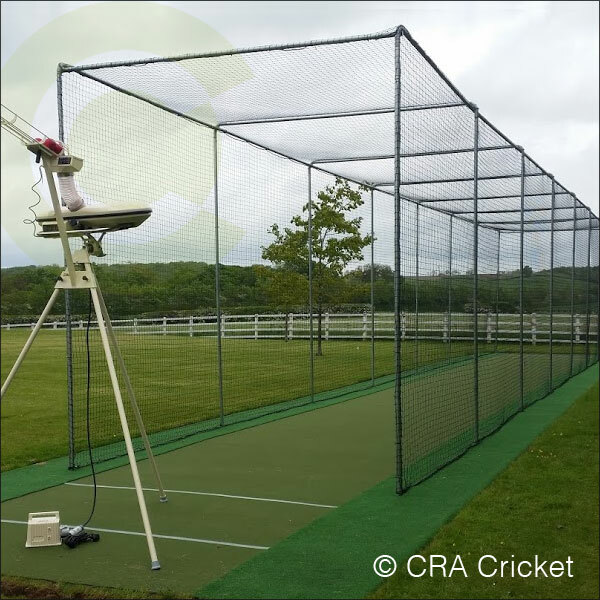 For a more traditional cricket area we supply both junior 2m and senior 3m net and pole cricket nets, which are used with cricket bowling machines and taken away after use. Although its more cost effective to use our standard practice area designs, which are practical and have been developed over the years to offer a very playable and easy to maintain area. We also can design areas to your specification, including run up areas and pitch and surround design. Catering for junior and senior players we design safe and practical cricket practice areas, desiged to look as good as they perform and maintenance light.